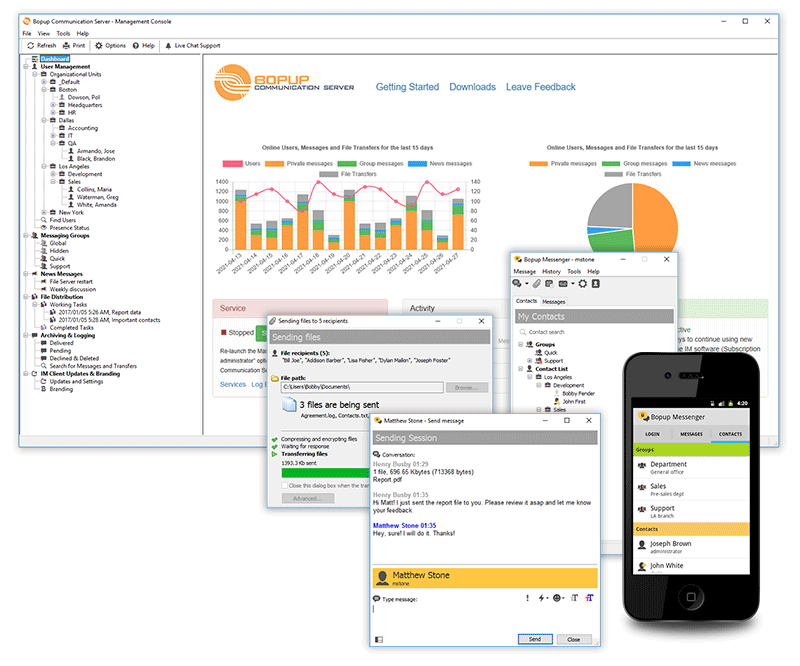 Bopup IM Suite Enterprise Pack is a secure client/server instant messaging system designed to provide internal and private communication over networks of any size. It meets most of the critical business and enterprise needs, such as centralized management, Active Directory (LDAP) support, message & file logging, messaging groups, user permissions. This bundle includes a license for Bopup Communication Server (IM server) + 100 instant messengers. Bopup Communication Server is an instant messaging server for private IM, internal chat and secure collaboration over corporate and business networks. It provides Active Directory support and integration, message and file archiving, offline messaging and document distribution with a strong encryption of transmitted data.